Freed slave Foxx searches for his wife (Washington) with the aid of German bounty-hunter Waltz. Foxx is freed from a chain gang by Waltz, a bounty hunter who enlists him as his assistant, training him in the art of bounty-hunting. The men have an agreement that will see them conduct a search for Foxx's wife, Washington, after he has aided Waltz in a certain number of jobs. News reaches them that she is being forced to work as a prostitute on a large Mississippi plantation, known as Candieland, run by DiCaprio. The two men arrive at Candieland with the initial intention of purchasing Washington but things don't go quite as planned. In the early nineties, American cinema was in stagnation. 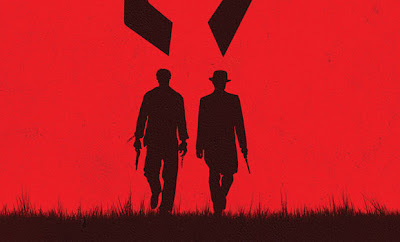 Tarantino arrived and shook up the scene with a couple of movies that played by their own rules, taking their influence from cinema's past rather than it's poor contemporary state. Unfortunately he never lived up to the promise of those first two movies, 'Reservoir Dogs' and 'Pulp Fiction', becoming a victim of his own hype. He finds himself in a unique position of being able to make whatever movie he wants, the toast of Hollywood. Herein lies the problem; he arrived as a youthful maverick but now, to borrow the language of 'Django Unchained', he's become Hollywood's house n*gger. While the writer-director's nineties movies were steeped in a love of cinema, his output this century has been veering closer to parody and has reached a nadir with his latest. 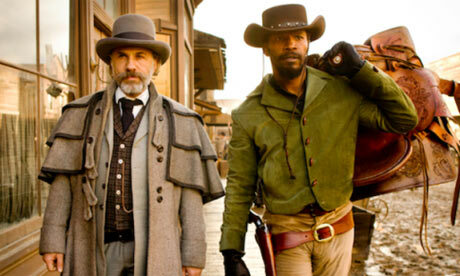 'Django Unchained' is, surprisingly, an out and out broad spoof of Spaghetti Westerns. While he seems to be aiming for the sort of humor of seventies era Woody Allen and Mel Brooks, his poor comic writing renders it closer to something the Wayans' brothers might create today. The movie's first half, a series of vignettes developing the relationship between Foxx and Waltz, plays like a bad postmodern remake of 'Blazing Saddles' while it's second half, set on the Candieland plantation, feels like a feature length 'Saturday Night Live' sketch. There's been much speculation as to how African-American audiences would react to the film's treatment of such a controversial subject. As a white Irishman with nary a politically correct bone in my body I have to confess to experiencing a level of discomfort at the constant use of the N-word. By the film's final third it was sticking out like the word "knife" in Hitchcock's 'Blackmail', drawing far too much attention to itself. He can hide behind the excuse that he's remaining faithful to the attitudes of the time but you can't help think Tarantino is getting some strange enjoyment from being a white guy who gets away with this. More irritating than the language is the relationship between Waltz and Foxx. Why do Americans insist on having a heroic white character every time they make a movie about ethnic struggles? The story of 'Django Unchained' is paper thin, which would be fine if we had interesting characters rather than just the caricatures presented here. While Tarantino's recent films have been poor, they've contained moments that show his potential; the climactic fight of 'Kill Bill Part One', Kurt Russell's appearance in 'Death Proof' and the bar scene from 'Inglorious Bastards'. 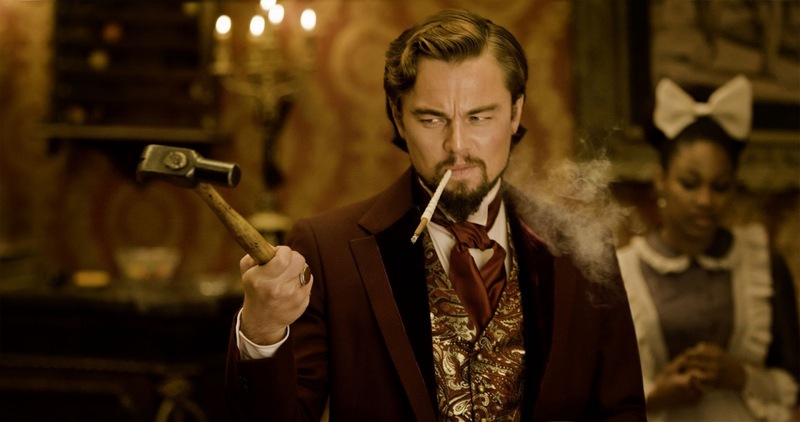 'Django Unchained' contains absolutely nothing of note, at least not in a positive sense. There are some memorable moments but they stand out for all the wrong reasons; a punishingly unfunny and dragged out skit involving KKK costumes, the pilfering of famous Western soundtracks and a verging on minstrelism performance from Samuel L. Jackson in ridiculous make-up. The one positive is the gorgeous cinematography from Robert Richardson, shot on 35mm film. (Yes, film!) The movie doesn't deserve such stunning visuals. Kevin Costner was originally cast but pulled out and it's easy to see why. He's a lover of the Western and no doubt wanted nothing to do with this travesty. 'Django Unchained' is to the Spaghetti Western what Rob Zombie's 'Halloween' remake is to the Slasher movie, a film made by someone who clearly loves the genre but is clueless as to how to express that passion. If there's a worse American movie this year, I haven't seen it.